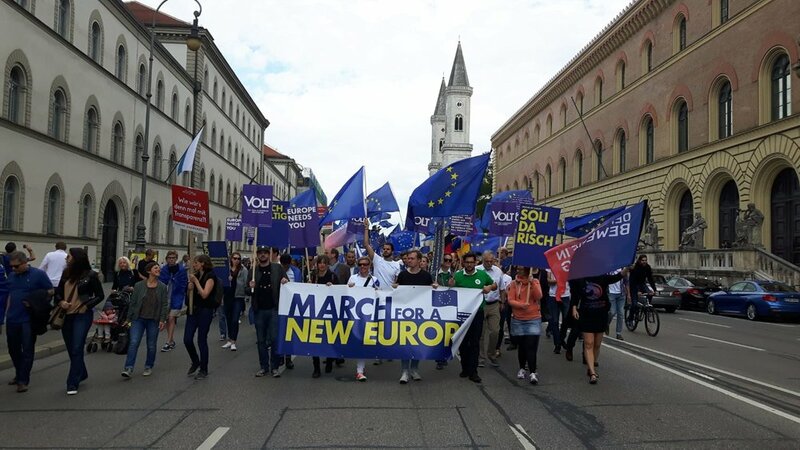 A colorful march against nationalism and hate on the Brexit referendum anniversary that attracted 1000+ participants and was widely covered in the news. Since the Brexit referendum, nationalism and hate crime is on the rise, we did not want the second anniversary of the referendum to be celebrated by nationalists and populists as their victory. 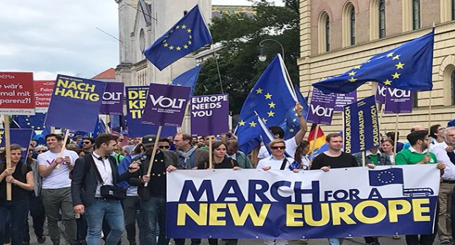 Instead, the goal was to create a pro-European narrative against nationalism and hate. The solution was an event against nationalism and for a sustainable solidary Europe: Together with several other citizen initiatives and movements, we organized a large march through the city, with 1000+ attendees, an old-timer London doppeldecker bus, many pro-European flags, a DJ, a band, and high profile speakers such as Christian Ude, former Lord Mayor of Munich. We aim to stay connected with other organizations and continue with joint projects. This way we hope to celebrate an event against hate and populism and for a sustainable and solidary Europe every year on the Brexit referendum anniversary.